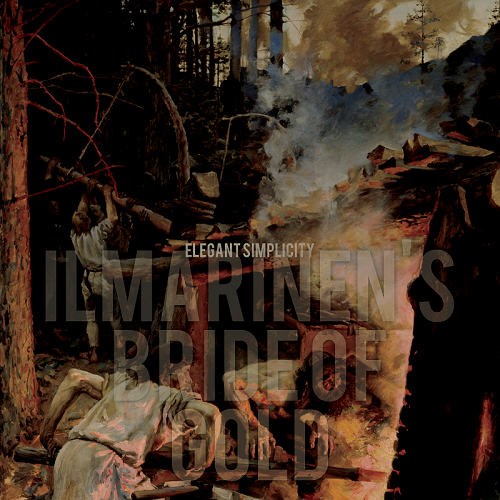 Ilmarinen’s Bride of Gold, as featured on the triple Kalevala album some years ago (2003), is now available as a remixed, partially re-recorded and fully remastered new version! The core of the track is as it was originally recorded. However, this new version features my own mellotron (the Presence Tron!) and new organ and synth parts. Listen out for the brass Moog sound in the intro. It also ditches the 12 string guitar and piano solo. In comes a smashing saxophone solo instead from Nathan. The whole thing has been re-mixed and mastered and the results are rather good! And, of course, it also has it’s own rather excellent artwork, based on Gallen Kallela’s The Forging of the Sampo (1893). Originally recorded 2002, this version partially re-recorded, mixed and mastered between August and January 2018.